Our modern lifestyle and general lack of time don't magically erase our need for high-quality food. We still need a ton of nutrients in order to grow, think, function, and stay healthy. That's why we comprised this all-encompassing list of the best frozen meal deliveries that'll save you both time and money from day one. If you want to eat a healthy diet without sacrificing the flavor of your food, BistroMD may be the right frozen meal delivery for you, providing you with a personal diet plan for optimal results. The Good Kitchen provides its customers with all-natural and delicious meals prepared without any processed products, added sugars, additives or preservatives that can negatively impact your health. Balance by BistroMD is a frozen meal delivery service powered by the science behind BistroMD and focused on providing its customers with chef-prepared meals cooked with high-quality ingredients. Home Bistro offers a variety of frozen meals that are easily reheated and able to meet your daily nutritional requirements. All meals are prepared with fresh ingredients and delivered straight to your door. Use code: MYCHEF and get 2 free meals with your order! Veestro offers a wide variety of plant-based, delicious frozen meals with every menu it provides. Vegetarian recipes are prepared with 100% organic produce and are a perfect match for your cruelty-free lifestyle. Diet-To-Go is a premium frozen meal delivery service with a highly customizable array of healthy, tasty, and budget-friendly ready-to-eat dishes. Get 10% off Your First Week! Pre-Made Paleo (now known as True Fare) is a frozen meal delivery service that aims to change the way people in the US perceive and eat food. It also offers specialized AIP, Whole30, and keto plans. Paleo On The Go is an award-winning autoimmune protocol and Paleo meal delivery service that offers a multitude of delicious, chef-prepared, frozen Paleo meals that are made with your health in mind. 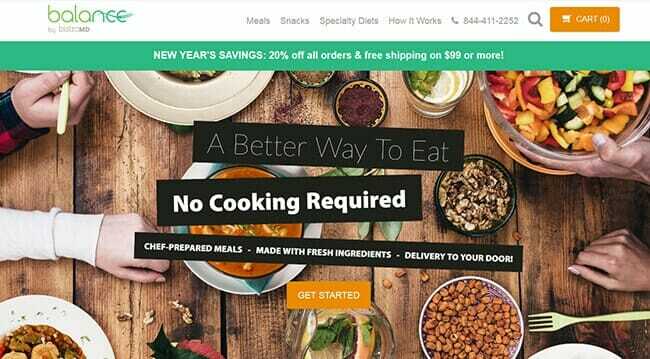 Magic Kitchen is an excellent frozen meal delivery service that can provide you with a perfect diet plan or meal package, regardless of your taste. It offers healthy meals for busy families and seniors too. Personal Trainer Food is a meal delivery launched to help you achieve optimal weight loss results quickly and naturally by "unleashing" your metabolism with delicious and healthy restaurant-grade food. Let’s face it – pretty much nobody has enough time to cook in this day and age. Regrettable as that may be, it’s the life we built and enjoy for the most part. Modern (frozen) meal delivery services spotted what was falling through the cracks and gave us just what we needed when we needed it the most. Frozen meal delivery services might sound contradictory at first, but freezing processes have advanced beyond our comprehension since the first baby steps of this business idea. Freezing affects the overall taste and moisture of your delivered meals in absolutely ZERO ways. Reputable meal delivery services use organic ingredients exclusively; naturally grown, without pesticides and other chemicals. Furthermore, during the cooking process or after, no preservatives whatsoever are added. Most of the well-known frozen meal delivery services offer a wide array of delicacies, divided into different plans and programs. Whether you’re into losing a couple of pounds, giving a solid push to your sports activities or just living healthy, there is a perfect program for you out there. Many of those programs are crafted by reputable medical doctors or fitness instructors and nutritionists. After you register, you’ll usually receive some extra benefits. These include but are not limited to personal diet programs, customized to fit your unique nutritional needs, access to a meal-planning /calorie-counting app (if there is one) that can do half the work for you, various loyalty discounts and gift options, and much, much more. Recurring programs are especially handy. You can order a test package (the first one is usually discounted universally) and apply for the recurring regime if you like it. With a recurring subscription, you basically never have to think about food again. You can always change the contents of the package yourself or simply give some general pointers and leave it to the chefs to diversify it. Frozen meal delivery services allow you to maintain a healthy diet without so much as leaving your home. They’re convenient beyond belief and can provide singles and entire families with delicious, mouthwatering restaurant-grade dishes without having to waste time shopping for groceries, prepping the ingredients, and cooking. Furthermore, the food bought at your grocery store will usually be way past its nutritional peak. The food can lose up to 50% of its nutritional value between being picked too early and just sitting around the grocery store. Freezing your food, on the other hand, locks in all the nutrients, so you’ll always receive a perfectly balanced set of meals that can meet your daily dietary requirements. Most frozen meal deliveries on our list flash freeze their meals, which saves their nutritional value and keeps them in top shape until you decide to put them on your daily menu. Flash freezing (synonym – blast freezing) is the circulation of cold air used to bring food down to extremely low temperatures. The method of “quick chill” prevents the loss of moisture by keeping the ice crystals as small as possible. Subpar freezing methods can “damage” your food, which is why we tend to rank only companies that have perfected the process of flash freezing. By choosing only the best of the best, we make sure that you get nothing but food of the highest quality and enjoy maximum variety, taste, and flavor. In order to isolate the best frozen meal delivery services on the market, we used our established set of ranking criteria that focuses on every important aspect of this type of service. In order to familiarize you with the entire process, we’ll share some of our most important ranking factors. Our first point of inquiry is a steady stream of meal options. We want to see a rich menu filled with delicious meal choices spread into appropriate categories. This factor also takes into consideration the possibility of customizing your deliveries to match your dietary preferences. This will allow you to eliminate ingredients you don’t like or are allergic to and include only those you enjoy. Variety is also an important factor since no reputable frozen meal delivery should allow its customers to grow bored of its food. This especially goes if you are following a particular diet, such as Paleo or gluten-free. So, we are interested in rotating menus with new tasty dishes every single week. Food variety will allow you to use your favorite meal delivery on a regular basis without often encountering identical meal options. Nutritional value and portion sizes are also essential since you want to get all the necessary nutrients every day without having to waste food and deal with leftovers. Lastly, we deal with the overall flexibility of the meal deliveries and their prices. We have to make sure you can cancel, pause or skip your delivery without any monetary penalties. Additionally, the value provided has to match the price tag. The following price comparison is designed to help you easily figure out which of our top-ranked frozen meal delivery services best fits your budget. We have brought all the pricing information to one place, including the shipping costs and details about the companies’ delivery areas, so you can identify the perfect fit in a single glance. What all of our top picks have in common is that they are currently the best on the market. Now it is time to discover what makes each of these frozen meal delivery companies unique. Explore their distinctive features in the mini-reviews below and choose the one that best satisfies your personal needs. The main feature that sets Bistro MD apart is the support you’ll get as its registered member. You can make use of its app for meal-mapping and calorie count and/or get a fully customized diet plan made by a physician specializing in weight management. None of the meals provided by this frozen meal delivery have added MSG or trans fats, the ingredients are prepared fresh, and nothing is freeze dried, so you can enjoy delicious food and boost your health at the same time. The Good Kitchen offers a wide variety of delicious meals that are frozen fresh in order to prevent the loss of nutrients. All meals are prepared by professional chefs and don’t contain any added sugars, processed products, additives, and preservatives. The company offers separate meal plans for adults and kids, with 4 different options in each. The food is delivered free of charge anywhere in the US, including Alaska and Hawaii. 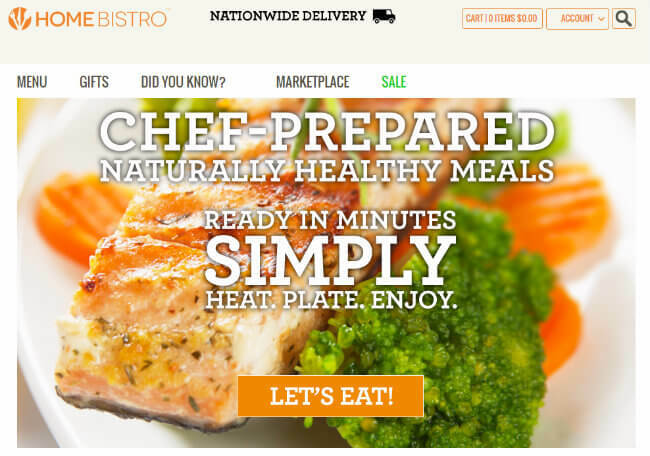 Balance by BistroMD is a meal delivery service based on the bariatric science implemented by the company’s physician. It’s specially designed for people who take care of their diet and overall health. All meals are prepared by professional chefs after careful planning and nutritional calculations. This makes it a perfect choice for individuals who want to lose weight without feeling hungry all the time. You’ll have a wide choice of meals, shakes, and snacks at your disposal and you can change your order every month. The basis of Home Bistro’s portfolio lies in the intricate structures and fine textures of Mediterranean delicacies. The company uses only high-quality ingredients, all locally sourced and natural. The menu is seasonally inspired, so there are never any corners cut when it comes to freshness. The meals are low in sodium (800- mg per meal) and with clearly marked nutritional values. Every portion contains fewer than 700 cal, which is an optimal intake per serving for a modern, high-functioning individual. Veestro is a vegan meal delivery service dedicated to spreading top-quality plant-based cuisine, according to its “Plantfesto.” The company also provides semi cold-pressed, half-blended juices in different juice cleanse packs. Every meal has a nutritional and ingredients chart, which makes life much easier if you can’t eat certain foods or have allergies. The packaging is 100 percent recyclable and comes with a calculated amount of dry ice, meaning it is designed to melt just as it reaches its destination. 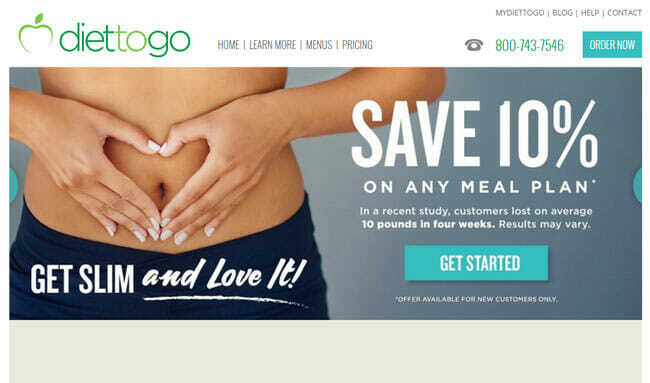 Diet-To-Go is a groundbreaking frozen meal delivery service that allows you to personalize your selection of delicious, healthy, ready-to-eat dishes. 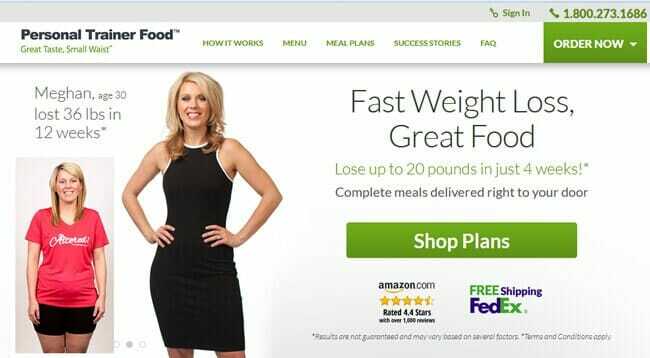 The company offers a free diet analysis before your first order, which will help you determine your BMI and customize your delivery according to your dietary needs. Apart from delicious meal choices, Diet-To-Go also provides you with professional support and guidance to complement your weight loss efforts. Pre-Made Paleo, which is currently known as True Fare, offers a wide spectrum of delicious meals that’ll help you maintain your Paleo lifestyle. Apart from Paleo, the company also incorporates a bunch of other popular diet programs, such as keto, AIP, and Whole30. The ingredients used are top-shelf, with certain wild-caught options, and new recipes are added regularly. You can also create a custom meal plan by using the a la carte option. Paleo On The Go is an award-winning autoimmune protocol and Paleo meal delivery service that offers chef-prepared meals and ships them to the entire US. The company sources only the healthiest, locally grown ingredients and free-range, sustainably raised meats. The menu is constantly upgraded to provide you with new, delicious, and exciting meals every week. Once received, the meals can be kept in the freezer for up to a year and up to 5 days in the refrigerator when thawed. Magic Kitchen is a frozen meal delivery service that allows you to choose from a rich selection of complete meals or create your own program using the a la carte menu. Ordering from Magic Kitchen doesn’t result in any contracts or standing ongoing commitments, whether you opt for a single order or set up a meal program. 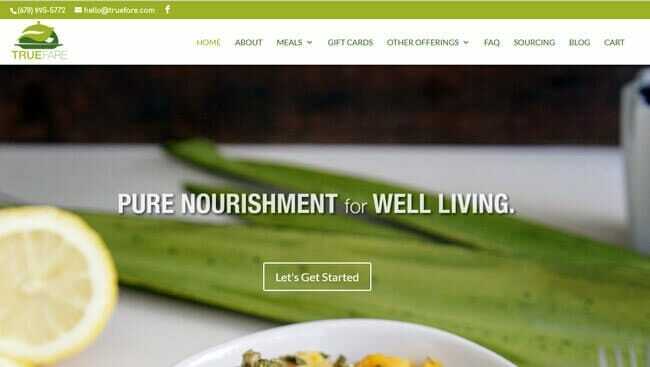 The company offers a wide range of meals for seniors and people on special diets, as well as perfect gift options. Personal Trainer Food was created with the goal of helping you lose weight as quickly and efficiently as possible without endangering your health. You can choose from a rich menu filled with delicious and healthy meals and create your personal diet plan for losing weight. You can even order packs with different snacks. The food is delivered in a recyclable Styrofoam box with just the right amount of dry ice to keep your meals refrigerated until they reach your home.